1. Janma, Anujanma, and Trijanma, or “birth star” : Beginnings, ideas, body. 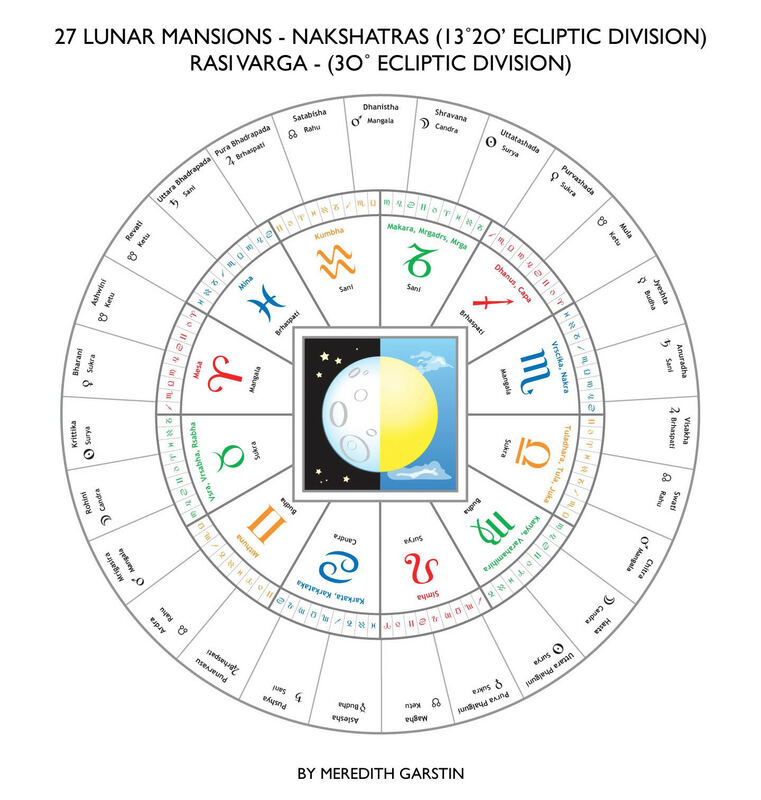 The Janma Nakshatra is equivalent to the Lagna (Ascendant). Planets here have a marked influence upon the appearance and personality. 2. Sampath Tara, star of prosperity : Accomplishment, good care of responsibilities, wealth, receptivity. 3. Vipath Tara, the star of adversity : Hindrance, prevention, death, self-will, hard work, travel, siblings, competition. 4. Kshema Tara, star of welfare : Things that create security, property, home, security of progeny and creativity. 5. Prathiara Tara, the star of trouble : Averted, missed. Obstacles. Conflict, enemies. 6. Sadhaka Tara, the star of means : Perfecting, useful and efficient. 7. Vadha Tara, the star of slaughter : Slayer, destroyer, destruction, change. 8. Mithra Tara, the star of friendship : Friendly, helpful, dharmic, dutiful, actions, what the person gives to the world. 9. Parama mithra Tara, the star of highest friendship : Best or highest, most useful, producing a lot of good in life.